Senator Lindsey Graham (R-SC) recently explained his participation in the "Gang of Eight" working to provide legal status to illegal immigrants and to create a new guestworker program by saying he thinks there is a "shortage of labor." But the statistics for his home state of South Carolina do not seem to support this conclusion. 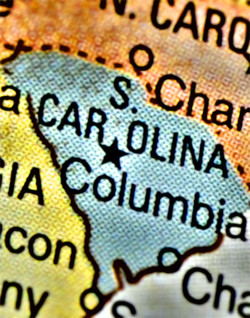 The Bureau of Labor Statistics reports that in 2012 the broad measure of unemployment, referred to as U-6 unemployment, was 15.8 percent in the Palmetto State, the 11th worst in the country. The U-6 measure includes those who are forced to work part-time but want full-time work, and those who are discouraged from looking for a job. In 2007, the U-6 figure for South Carolina was 9.5 percent. By down loading and running public use BLS data from the Census Bureau's Dataferrett web site, it is possible to get an even more in-depth view of the labor market situation in the state. The BLS data shows that there were 349,000 (U-6) unemployed people in the state in 2012. Focusing on the fourth quarter of 2012, U-6 unemployment for those age 18 or older with no more than a high school education was 21 percent. At least three-fourths of the illegal immigrant workers Sen. Graham wants to stay in the country permanently have no more than a high school education. Yet in his home state, the situation looks quite bleak for less-educated workers who are the most likely to compete with illegal immigrants for jobs. The public use BLS data also shows that 35.5 percent of all adults (ages 18-65) were not working in the fourth quarter of 2012. This is 1.05 million working-age people in South Carolina not holding a job. Many of these individuals do not show up in the official unemployment figure, or even the U-6 measure, because unemployment statistics generally only include those who indicate they have looked for job at some point. The 1.05 million figure represents a 216,000 increase in adults (18-65) not working compared to the fourth quarter of 2007. It is hard to find any evidence of a labor shortage in South Carolina. There would seem to be a huge pool of potential workers in the state, especially to fill lower-paying jobs that require modest levels of education. Given the size of this pool, if employers really are having trouble finding workers, then offering higher wages and better working conditions would seem to make a good deal of sense. Like Nike, States Just Do It!